Directions: to Hafren Forest Walks - go via Builth Wells, Rhayader and Llanidloes on the A470. Turn left at the Town Hall in Llandloes along Shortbridge Street and carry on for a few miles until you get to the Rhyd-y-benwch carpark. 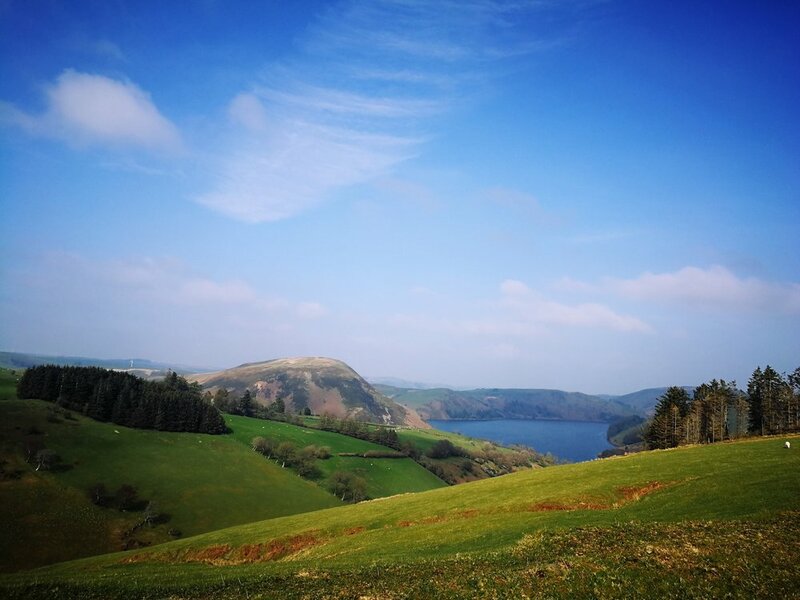 After enjoying the walks turn left out of the carpark and follow signs to the Clywedog Reservoir, before dropping back down into Llanidloes. The River Severn rises from a deep peat bog on the slopes of Pen Pumlumon, the highest mountain in the region, which is on the boundary of the 15 square miles of the mainly pine and spruce forest. You can walk alongside the Severn right up to the source. The River Wye and River Ystwyth also begin on the misty slopes on Pen Pumlumon. The walks around Hafren Forest are fantastic and well laid out. The routes are waymarked and most of the walking fairly level and suitable for all ages. There are picnic spots and plenty of benches to rest weary legs or just sit quietly and watch the world go by.